Sometimes in a separation, early on, we play the victim and throw a big pity party. We behave in ways we often regret when we are not being our best. Have you ever played the victim? I know I have! This spiral of negativity may feel somewhat satisfying for a while, but it wears thin fast. No one enjoys spending time with someone playing the victim except the people who feed off seeing other people suffer. Trust me, these people don’t stick around when things start improving for you – they want you to stay in the victim role because it makes them feel better about themselves. Feeling helpless and needy is an exhausting way to live. What you really want to do is pull yourself back to the version you enjoy being – your ‘best-self’. The person you enjoy being when you are feeling great. The person that is wonderful to be around. The person that you are proud to be. Who are you when things are good and you are enjoying your life? How do you act when you feel at your best? What qualities do you admire most about people you know that inspire you and you love being with? Often we have these same quantities inside ourselves that we admire in others. Who are you when things are not going well? What bad behaviours do your use when you are upset and struggling? Is your behaviour serving you or is it holding you back? Or worse – harming you? Remembering who you are at your best. Start paying attention and observing how you are showing up. Start choosing to be a better version of yourself in the moment. Change always starts with awareness! Show up as the best version of yourself you can manage. It won’t be easy, difficult things never are, but it will be worth it! It will make you feel stronger, more resilient and help you be more in control. Pay attention to the things that improve as you start to show up as your “best-self”. Let me know, in the comments below, your thoughts on being your best-self vs taking on the role of a victim. 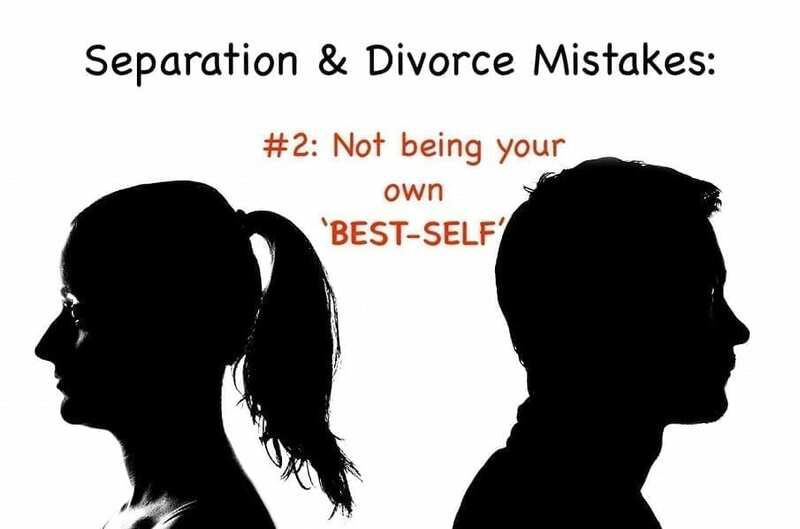 My coaching can help you navigate the divorce journey better! – you can book a free strategy session here to see if coaching with me would be a good fit!